of Andy & Ericessen’s mission. We are on the final lap of this relay race, Zambian TIME (Training In Ministry by Extension) program, training English speaking Pastors and Leaders. 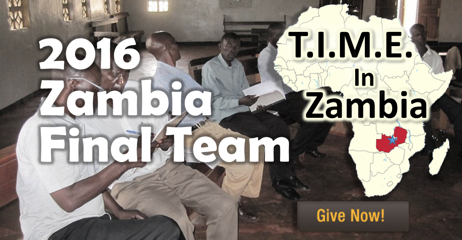 Over the last two years 5 teams travelled to Zambia and covered 10 modules: Biblical Interpretation & Beliefs, Old & New Testament Survey, Church Leadership & Administration, Christian Ed, SDB History & Polity, Worship & Preaching and Pastoral Theology. Now only two modules remain. 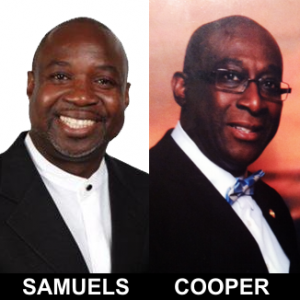 Finishing strong our last team to Zambia Oct 26 – Nov 7, 2016 will be Andrew Samuels (Pastor, Miami SDB, FL) and Ericessen Cooper (Pastor, New York City SDB, NY), to cover Sabbath Theology and Evangelism (Church Growth & Planting). They will also participate in the graduation exercise to complete this part of the program. The 5K at General Conference for the last two years have been the main support for this program. From this year’s 5K $3,290 has been received. Your support in prayer and finance continue to be needed to take this project across the finish line to complete the training and go towards translation and training to come for the non-English speaking pastors.